Our league is designed to be fun for players of all levels - beginning to very experienced. You must be at least 35 years old to sign up and play. This is RECREATIONAL LEAGUE! We do not keep score or have league standings. If you have a "winning at all costs" attitude, you should seriously consider one of the more competitive leagues in the area. If you have signed up for CCSoccer before, you do not need a new profile. If you are new to CCSoccer you must create a profile. You sign up as an individual. You may group yourself with up to 4 others you want to play with. We will then balance the teams. Each season, new teams are drawn up giving you a chance to play with different people. 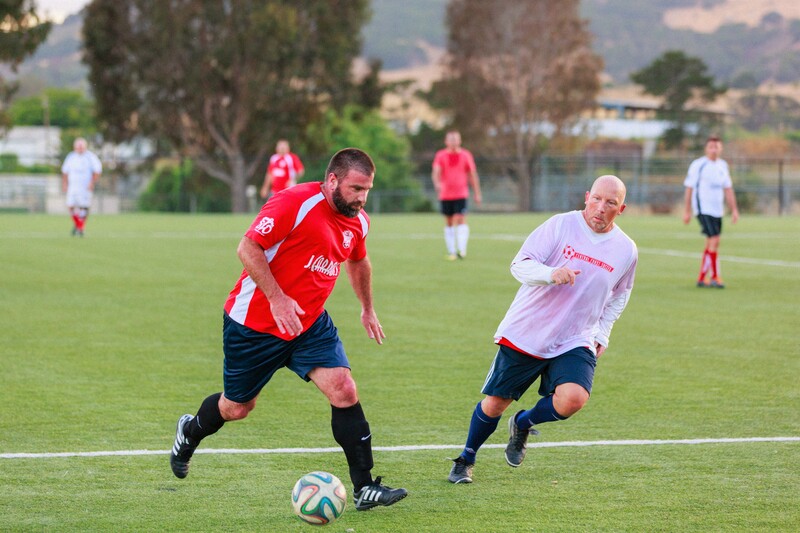 If you are looking for a fully competitive league, check out the SLO Premier League. If you would like to be added to the mailing list, please sign up for an account.